I’m so over seeing mounds of FRUIT, beans and unlimited vegetables purported as “Healthy”. What that child might need instead is a slice of cheese or bites of chicken. For many with prediabetes (1/3 of us according to the Center’s for Disease Control CDC), they are NOT. Nutritionist Dr Robert Lustig suggests that giving toddlers juice is equivalent to giving them a BEER. The tax on the liver is the same and the body is confused by fructose, so the liver makes NEW FAT. The word “Healthy” is relative, not absolute. When I was vegan and a wine drinker, I was at my HEAVIEST EVER and 4 sizes larger than today. I have tried adding in more vegetables (relatively low carb, not starchy) and it always packs on the pounds. Why? Because I am insulin resistant, therefore, likely leptin resistant. Leptin is what tells the brain if you are starving or not. If leptin cannot get into the brain, you ARE starving. Mrs. Obama does not seem to get this. She thinks veggies will help all kids, including the insulin and leptin resistant. What is “healthy” for me (long periods of fasting (18 hours), meat, butter, eggs, a FEW dark leafy greens with meat, interval training) may not be so for the other 2/3rds of people (a million meals a day, fruit and veg, snacks etc., I hate you…waaaa!). Whenever you see “healthy alternative” recipes, be mindful of your own body. 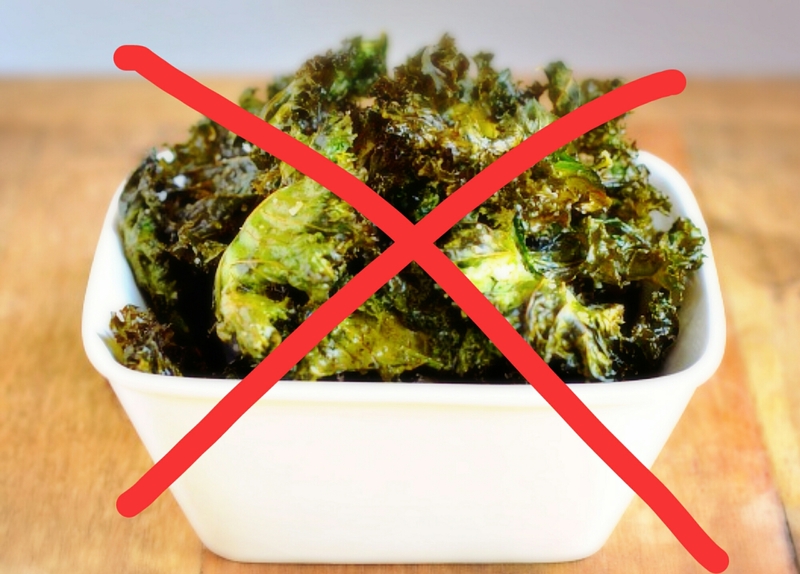 You may just get to throw those damn kale chips out after all.